news The nation’s second-largest telco Optus today said it would appeal its Federal Court loss over its TV Now cloud-based personal video recording software to the High Court. “Increasingly, developments like cloud computing will see Australians using applications held online and wanting to store online rather than just using fixed hardware based in the home. Australian consumers want legitimate access to content on any device regardless of the genre and we want to continue making the latest technologies available to Australians to meet this demand. The Optus TV Now service allows customers to have free to air television programs recorded when broadcast, using Optus’ centralised systems, and then played back at the time of a customers’ choosing on their Optus mobile device or PC. This technique is known as “time-shifting”, and attracted the legal ire of the NRL and other groups such as the Australian Football League, which had granted Optus rival Telstra an exclusive licence to make their broadcasts available online. Late in 2011, Justice Steven Rares of the Federal Court had found in Optus’ favour in the case which the telco had filed against the NRL (later joined by Telstra and the AFL), stating that Optus’ technology was similar to recording a TV show using a video recorder in a loungeroom. However, in a new judgement after an appeal, the full Federal Court found several weeks ago that Optus’ technology could not come under the auspices of the Copyright Act. 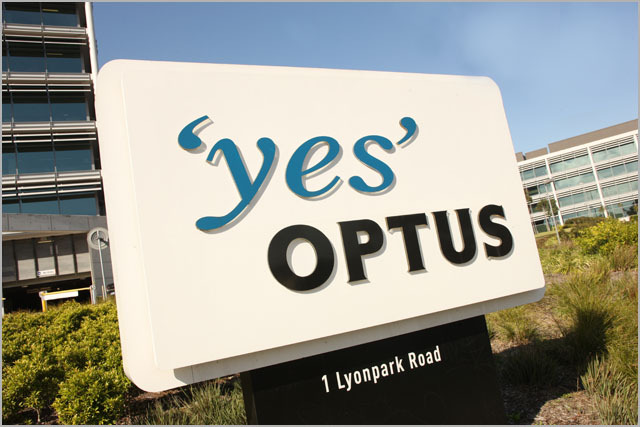 In its judgement, available online here, the Federal Court wrote that there were two issues at the heart of the case — who recorded the TV shows, and if Optus’ act in recording the device constituted an infringement of the copyright of the NRL, AFL or Telstra, could Optus invoke the “private and domestic use” defence under Section 111 of the Copyright Act, which allows limited recording of content for personal use. Following on from this determination, the court found that Optus could not use the Section 111 defence under the Copyright Act. Optus has reportedly suspended the TV Now app. I think most people viewed this appeal as being fairly inevitable. Not unexpected, but for point of note http://www.mytvr.com.au/ has been offering this same service for 3 years without anyone raising a complaint (I hadn’t heard of them before until I read the article on this appeal over on ITWire), interesting that the AFL/NRL/Telstra had no complaints prior with that service. For interests sake mytvr got taken offline along with TV Now at the last appeal. That’s because all Telstra and the sporting codes care about is viewing games on the mobile. Especially viewing near-live games which is possible with the Optus setup. I also find it odd they don’t care about desktop based versions of the same thing. This case will seal the fate of IT innovation in Australia. If the content creators win then the cloud will be dead in Australia – why risk it here! It does not have anything to do with other copyrighted content like music obtained through iTunes, eBooks, BluRays, etc. How many other examples do you see where copyrighted content are provided free of charge to the public ? I think its perfectly fair that content provided through a broadcast medium free of charge comes under a more restrictive copying limitations. I think its perfectly fair that content provided through a broadcast medium free of charge comes under a more restrictive copying limitations. Ok, even though this has been covered before I’ll bite, why specifically should copyright material available via a broadcast medium, and when I saw broadcast I mean via RF (ie. TV, Radio, CB, etc) have more restrictive copyright then material obtained via other methods? And should material available via broadcast (ie. a DVD/Bluray that is broadcast on TV or CDs/iTunes that have their music played on radio) have by comparision less restrictive copyright because it is obtained via a different medium? This is actually a very good info sheet on current copyright laws with regards to format conversions. In actual fact, CDs, BluRays, MP3s basically have similar limits to copying and format conversions. There’s still the ‘private’ and domestic limitation in place. Personally I think the law should be loosened with regards to CDs, Books, BluRays to allow any party to copy/convert materials as long as viewing/playback is only available to the licence owner. 2. Person has copyright to view any FTA content from that point onwards. If the above is allowed.. it will effectively render copyright ownership of anything put over the air on Australian FTA pretty useless. ABC Shop would cease to exist because who’d pay for a copyright licence when Quickflix would ‘replay’ any FTA show to you without paying anything to the copyright owners. I don’t think you understand what the Quickflix, TV Now, and MyTVR services actually offer and do. I would suggest that you have a look at what Optus was offering as TV Now. It was user requested Free to Air TV recording of particular broadcasts, only held for a limited duration and had an upper capacity limit. of about 90 minutes. Your example of Quickflix recording all FTA TV doesn’t even come into consideration as it is an entirely different model and doesn’t fall within the time shifting provisions. Free to Air TV isn’t really free. It is paid for by advertising or by the Government or a combination. The copyright holders are getting paid for their material and the broadcaster is being paid. So who is losing here? The only people who think they are losing are a well known self obsessed telephone company which is trying to monopolize distribution of content on one particular distribution platform for their own benefit and a couple of football administrations that believe that they have to monetize the life out of their particular code. I’m aware that Quickflix currently doesn’t do FTA recordings. I’m just saying that if its technically and legally possible, they would do it. And there’s nothing stopping Optus or anyone else to negotiatie for rights to ‘retransmit’ FTA broadcasts. It’ll of course devalue Telstra’s licence, but its up to the copyright owners to decide what they should do to maximize revenues. Exclusive distribution arrangements aren’t illegal (Kindle only e-books, etc). It seems very clear that you don’t understand or even want to understand what was involved in Optus TV Now. Optus already has a TV offering. This has nothing to do with TV Now. TV now enabled the customer to request Optus to record a FTA TV show on their behalf and allow them to access it when they wanted. What Optus was offering was a cloud based PVR recorder which a customer could hire for a fee depending on how much storage space they wanted to use. It isn’t rocket science and it really isn’t that difficult to understand. It has nothing to do with copyright because the customer is entitled to make a recording of a free to air service so they can watch it when they want.. It says so in the Copyright Act. There is no where in the Copyright Act that defines what type of machine the person must use to make the copy. There is nothing to say that the person can’t make the recording at a friends house or in the middle of the Simpson Desert or get someone to make the recording on their behalf. There is nothing in the Act that requires that the person themselves must push the buttons on the recording device. There is nothing in the Act to preclude the person from making the recording in the cloud. The requirement is that the person initiates the recording process and that what is recorded is for personal use. This has not and cannot be proven. And even if it were the case, why is this type of product only a concern now and wasn’t a concern when mytvr, a 3rd party service that offers the exact same cloud based PVR as TV Now as across any mobile carrier or ISP started it’s service 3 years ago? Of course it does.. Telstra paid a premium for the exclusivity arrangement. The FTA channels might actually prefer for TV Now to be allowed, but I’m sure they’re also contractually disallowed to ‘sub-licence’ the content to a 3rd-party in this manner. As for ‘mytvr’ .. practically nobody has heard of it. Given the virtually non-existent customer base, none of the copyright owners probably even noticed they exist.. never mind actually spending money on lawyers to shut them down. If it had serious potential to grow big, I’m sure they would’ve thrown laywers at them as well. And that is exactly what they are getting, exclusive rights for every game of every round (plus extra interviews, highlights, etc) streamed to users of their mobile platform. TV Now and mypvr didn’t allow you to record every game of every round, it allowed you to record any game that was broadcast on FTV in your area, exactly the same as what you could record at home. Completely and utterly wrong. Commercial TV networks do not want cloud based PVRs, put simply because they receive revenue from advertising when the programs are originally broadcast, but then in turn when they put them up for streaming they also include extra ads before and during that stream, with cloud based PVRs they have the possibility of missing out on that extra ad revenue. I’m confused, are you trying to say that the size of the company committing the alleged infringement should directly related to whether or not legal action should be taken against the alleged infringement? im sure if this continues, telstra or anyone for that matter would not buy the broadcast rights to the AFL and you’d probably see ur game disappear. I’d prefer Optus spend my money on creating a service I’d actually want to use, because as it stands this shambles of a TV Now service that comes pre-installed on my Android is only useful for recording shows that refuse to play back on my phone. I can see both pro’s and con’s with this. It could be said, that if the programme is recorded from free to air and is played back to the end user AND includes the advertisements,including station identification, then who has lost out? I can’t see that anyone has. The TV station has gained an audience for the ads., has had promotional material viewed and the NRL etc. hasn’t lost a viewer, they gained one. But, the sporting codes want to keep control. They don’t want anyone to subvert that control, because, control is power and in this case, control over the rights equals money. What Optus is doing is undermining that control, today Optus, tomorrow the world. It is very much like the recording/movie industry, if they have control, they have a cash cow, lose control and the cow dries up. That’s how they see it anyway. I just hope that the High Court agrees to hear the case and makes the same effort they made in the iiNet case to understand the technology involved.